Conversations Turn Into Monologues As Alzheimer's Robs Family Of Memories Teresa Valko's family has been battling Alzheimer's disease for generations. She remembers when her mother's memory faded: "I've essentially lost my mother, although she's still living," Valko says. 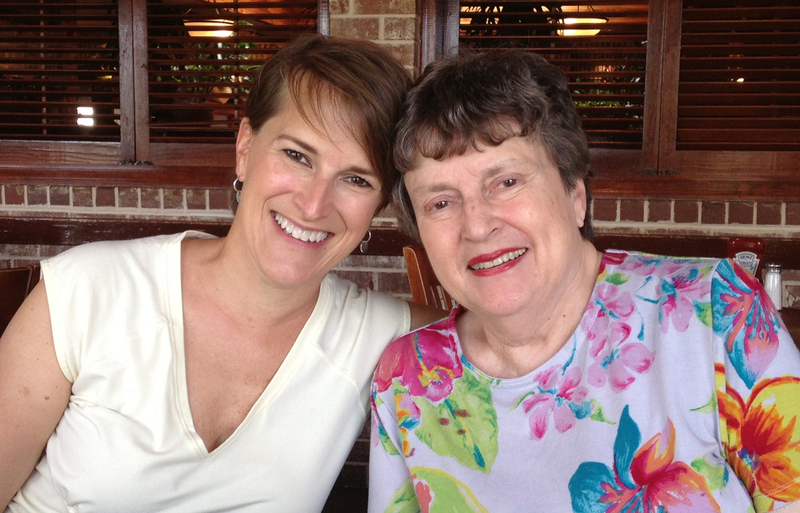 Teresa Valko and her mother, Evelyn Wilson, in 2011. StoryCorps' Memory Loss Initiative supports and encourages people with various forms of memory loss to share their stories with loved ones and future generations. Teresa Valko lives in California, and her mother, 80-year-old Evelyn Wilson, lives in Georgia. They keep in touch with regular phone conversations. Eight years ago, Wilson began to show symptoms of memory loss. "I would call and ask, 'Where did you go for dinner last night?' 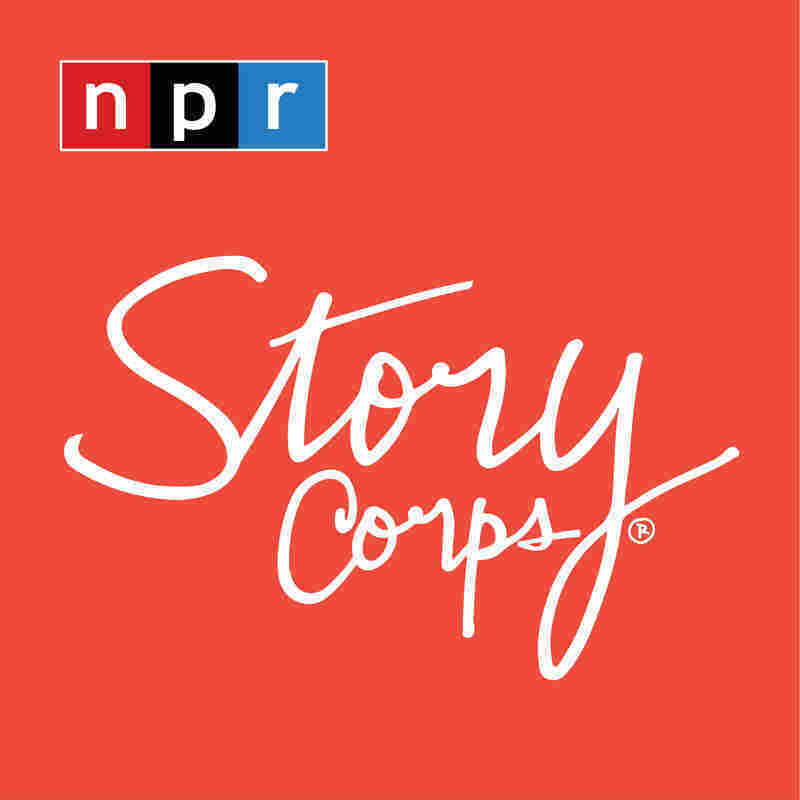 " Valko, 49, says during a visit with StoryCorps. "And, not only could she not answer, she would also get embarrassed, which made me feel horrible." There is a 100 percent occurrence of Alzheimer's on Wilson's side of the family: Her mother and all of her mother's siblings were diagnosed with the disease. "So I watched my mother live in absolute frozen, mortal fear of developing Alzheimer's disease," Valko says. Valko says that for a while, there was one subject that could elicit a response from her mother: "What's blooming in your yard now?" "She had all these beautiful plants and trees," Valko says. "And so I could hear her on her phone going from window to window of her house and telling me about this beautiful pink azalea and her white camellia, and she would cheer up because she loved her flowers and she loved her yard." 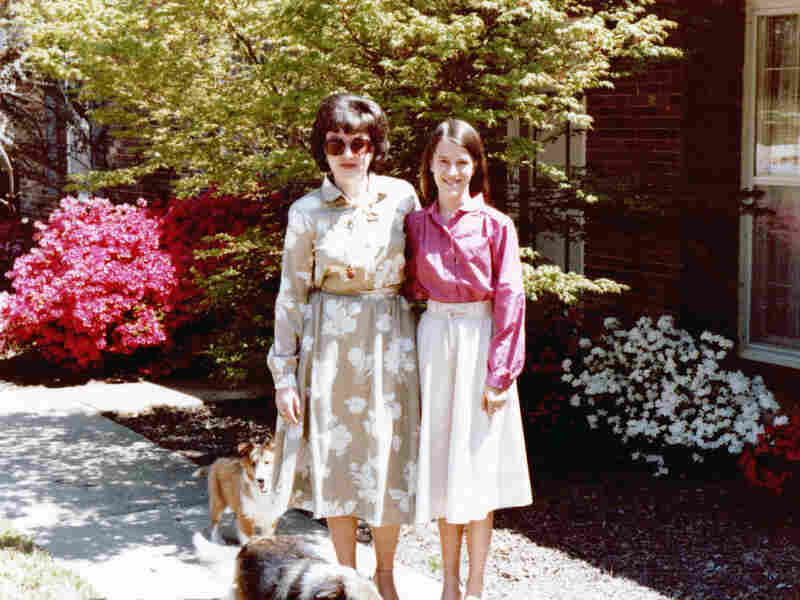 Evelyn Wilson (shown here with her daughter in a family photo from 1980) knew Alzheimer's ran in her family: Her mother and all of her siblings were diagnosed with the disease. But as the disease progressed, recalling the names got more difficult. So instead, Valko asked what colors her mother saw. That worked for a while. But eventually, they reached a point where her mother could no longer tell her even the colors. "And our conversations became a monologue on my part," Valko says. "So I've essentially lost my mother, although she's still living." Valko has had genetic testing done — and has the same genetic profile as her mother. "It's not often that someone is so aware of how they're probably gonna die," Valko says. "I don't know when I'll be diagnosed, but I'm not gonna dwell on what's coming. I don't want to spend my time and my energy mourning something that hasn't come to pass yet."